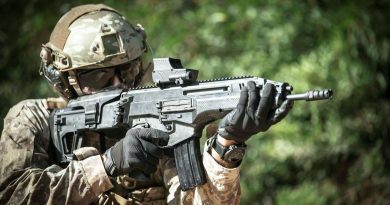 Singapore’s ST Engineering showcased a varied range of products ranging from weapon sights to 3D simulation visualization. 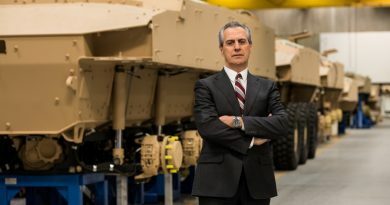 A model of the latest variant of its All Terrain Tracked Carriers (ATTC), the ExtremeV was on show, An ergonomic and spacious vehicle, the ExtremeV has a high payload of 5,000 kilograms and interchangeable cabins allowing flexibility in meeting a wide range of disaster relief or logistics transportation requirements. It rubber tracks and articulated design allow for operations on difficult terrain including mud, soft ground, snow and broken rocks. 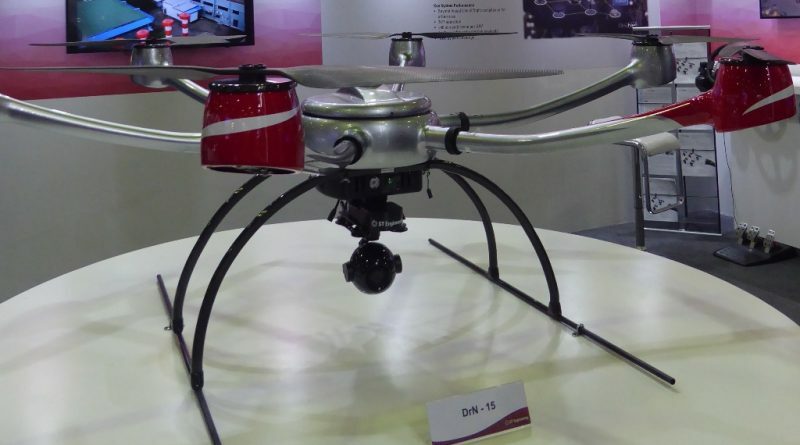 Illustrating its wide range of products was the DrN-15 hexacopter unmanned aerial vehicle (UAV) which in April became the first UAV to receive Singapore’s beyond line-of-sight (BLOS) certification. As part of ST Engineering’s DroNet programme the DrN-15 operates in BLOS by using cellular 4G data connectivity with a subscriber identification module (SIM) card making it suitable for urban environments where it uses existing 4G cellular infrastructure to provide video and data feeds to ground control systems (GCS) for 24/7 operations. 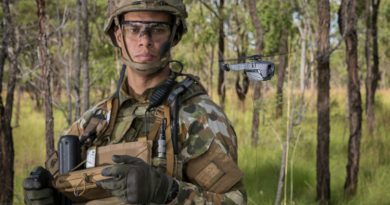 The DrN-15 has an endurance of 40 minutes, the DrN-15 weighs 12 kilogram, has 3 kilogram payload that can include high definition (HD) camera, infrared (IR) camera or high-resolution DLSR camera. The DrN-15 could be used for surveillance and remote military base protection where the DrN-15 could connect to a military’s own secure cellular service to provide data connectivity. ST Engineering’s US subsidiary VT MAK, a leading company in modeling and simulation software that links, simulates and visualizes virtual world within networked synthetic environments. It enables its customers to build on its own open standards-based COTS platforms to enable them to create their won systems. 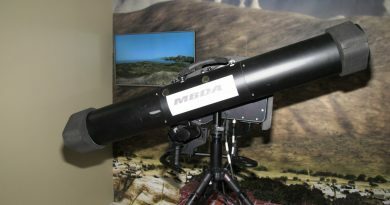 It can be used as a tool for military training, mission rehearsal, research and development and experimentation.